Confluence by Jerry Uelsmann will be on view at the LSU Museum of Art June 12 through October 14, 2018. Confluence by Jerry Uelsmann features sixty-five photographs from the artist’s recent series of work, produced from 2014 to 2017. While the aesthetics of these artworks align with Uelsmann’s esteemed and unique imagery, these black-and-white photographs evoke a new conversation, one inspired by an unlikely friendship with European art history scholar, Moa Petersen, Ph.D. Confluence demonstrates the natural flow of Uelsmann’s and Petersen’s intellectual friendship. Dealing with personal themes touching on the nature of love and loss, inner strength and self-love, this exhibition provides an intimate view of Uelsmann in his current chapter in life. Uelsmann is renowned for his mastery of images that are visually fabricated silver prints. These photographs start with a camera, but are constructed in the darkroom. With his keen eye, he assembles these works with unrivaled dark room skills. Using multiple negatives and several enlargers, he creates single analog images through the dodging and burning of light and the masking of images from different negatives to make single works. Uelsmann takes pictures and makes new negatives as a catalog of images for future visual montages. No single negative made is to be printed alone; instead, each negative is like a sketch waiting to be realized in an entirely new work. His masterful works are precursors to the electronic manipulation now rendered by computers in photo-shopped images. Photography challenged the veracity of paintings in the 19th century and later was seen by American modernist “straight” photographers to reveal “truth” by artists like Ansel Adams and Edward Weston. In opposition to that stance, a post-modern Uelsmann manipulates images to seek surreal and poetic “truths.” Thematically his photographs explore nature and the human condition. This exhibition is organized by the University Gallery at the University of Florida, curated by Amy R. Vigilante and made possible by the Gary R. Libby Charitable Trust and Hector Puig. Born in Detroit on June 11, 1934, Jerry Uelsmann received his B.F.A. degree at the Rochester Institute of Technology in 1957 and his M.S. and M.F.A. at Indiana University in 1960. He taught photography at the University of Florida in Gainesville from 1964–1998. He currently resides in Gainesville, Florida. Uelsmann received a Guggenheim Fellowship in 1967 and a National Endowment for the Arts Fellowship in 1972. Uelsmann’s work has been exhibited in more than 100 individual shows in the United States and abroad. His photographs are in the permanent collections of many museums worldwide, including the Metropolitan Museum of Art and the Museum of Modern Art in New York, the Chicago Art Institute, the International Museum of Photography at the George Eastman House, the Victoria and Albert Museum in London, the Bibliotheque National in Paris, and the National Museum of Modern Art in Kyoto. This exhibition is made possible with support from the following Annual Exhibition Fund donors: The Imo N. Brown Memorial Fund in memory of Heidel Brown and Mary Ann Brown; Louisiana CAT; Charles Schwing; Alma Lee, H.N. and Cary Saurage Fund; Newton B. Thomas Family/Newtron Group; LSU College of Art & Design; Susanna Atkins McCarthy; and Mr. and Mrs. Sanford A. Arst. 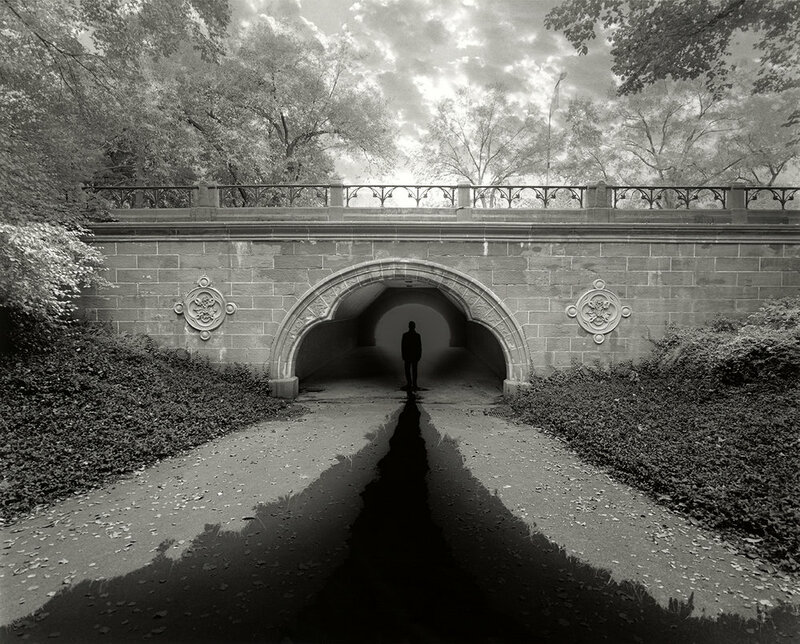 Artist Jerry Uelsmann will give a lecture starting at 6 p.m. in the Bert & Sue Turner Gallery on the third floor. Reception begins in the fifth floor museum at 7 p.m. Hors d’oeuvres and a cash bar will be available. $10 for general public, $5 for students/faculty with ID, free for LSU MOA members. Executive Director Daniel E. Stetson will discuss constructed photographic imagery and the work of Jerry Uelsmann. Free to attend. The Advocate's Robin Miller on Confluence by Jerry Uelsmann.